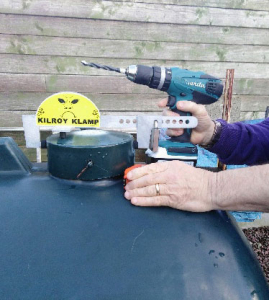 Welcome to Kilroy Klamp, which is a new, very robust high visibility and anti-theft protection for all home heating oil tanks and diesel tanks. We are based in Cashel Co Tipperary. Let me introduce this Irish made product. 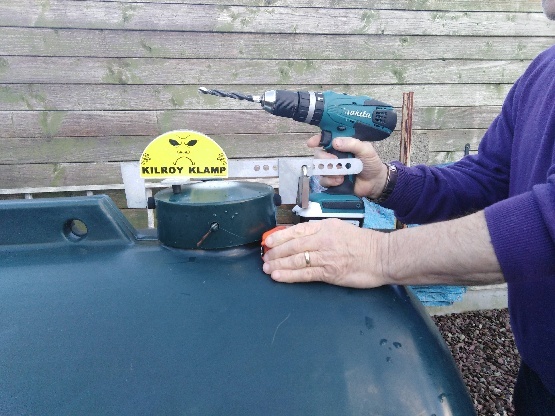 It is a once off universal easy fit device designed to help protect your home heating oil or diesel from being stolen. 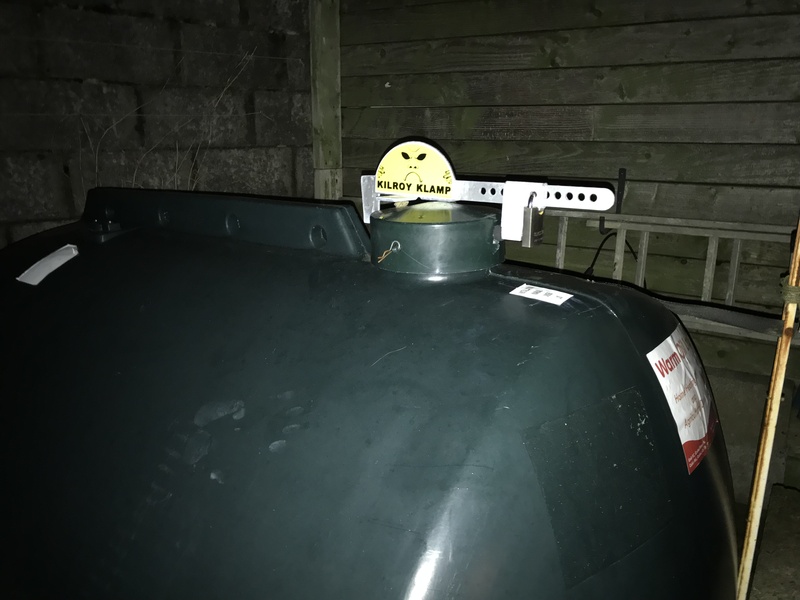 The Kilroy Klamp has a high visibility profile using a Yellow coloured image which immediately acts as deterent and decreases greatly the risk of trespass onto your property. 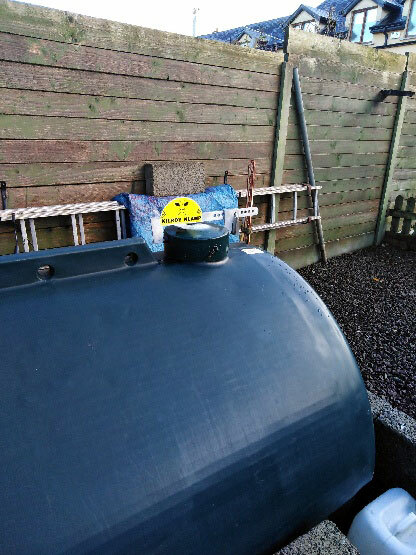 Cost effective device - Galvanised for a long life - Easy fit - Does not look out of place - Includes waterproof Neoprene gaskets. Hardened Steel Paddlock (40 mm) - Three keys - Chrome plated hardened double locking shackle - Protective chrome plated ring base - Hardened double ball locking mechanism for maximum protection - Protected against drilling, picking and rust. 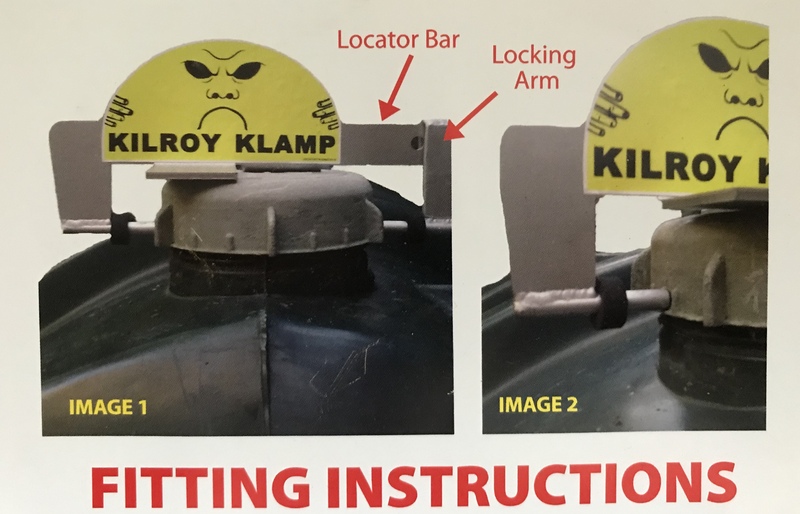 This new anti-theft lock is the perfect choice for those requiring a heavy-duty shackle for any tanks that store home heating oil or diesel. Our rust proof padlock is ideal for businesses or homes. It features a hardened steel protective bar which runs through the cap of the tank. It has a high visibility image, which can be seen from a distance at night. This will act as a deterrent. Very simple to fix to your tank and very effective. "Basically anyone with an oil or diesel tank"- "If you can’t stop them at least make it difficult for them"
Your business could be at risk. Your home heating oil could under scrutiny. 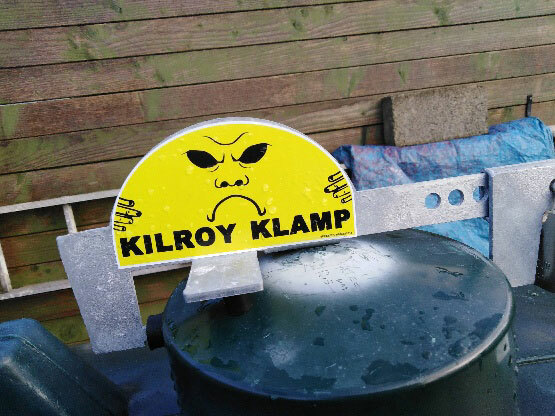 Please note: When fitting The Kilroy Klamp, ensure that the image is facing in the direction that gives the highest visibility. "Basically anyone with an oil or diesel tank"- "If you can’t stop them at least make it difficult for them"